Now, I know I previously said that we have made up our mind to go to Eastern Europe next year, and I know that it is a blessing to be having a problem to choose where we want to go for a holiday. But now, we have more or less (no promises this time!) changed our mind and decided to choose Paris over Prague. Mind you, this does not mean that we will not be going to Eastern Europe. It just means that the trip will not be in spring next year. Could it be the movie Midnight in Paris that showed the romantic Paris in the 20s, or the amazing colour captured in the Paris Color Project, or the French movies by the beautiful French actress Audrey Tautou, or even all those miniature Eiffel Tower that I simply adore? 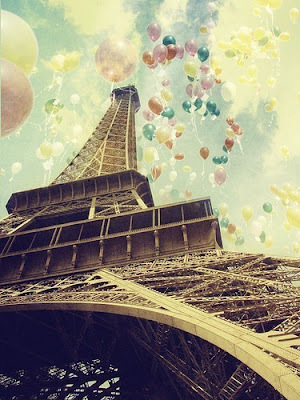 Guess there is no better place than to dream of Paris.